MARCH 23rd classes will be changed to 9:15am & 10:35am to ease studio & parking lot congestion. Classes were previously scheduled at 9:30a & 10:35a. This class is open to everyone. If you have unused class passes this is a perfect opportunity to use them up before 3/29. Please share if you'd like me to reserve a spot. Next week the studio re-opens... Truly eager to return to teaching & sharing the wonders of movement with ALL of you!!! Classes are filling up so if you haven't shared your class requests including dates- please do! Payments may be made at your first class. We will be accepting cash, checks, and credit card payments. Cheers to PILATES & becoming stronger, more centered, and happier!!! EVENING MOVEMENT CLASSES BEGIN IN APRIL!!!! VIMEO COMING SOON!!! Start your HOME practice!!! What can I share about my time off? What did I do? 1. My daily movement practice led to a class designed off the Reformer...Pilates, barre, cardio, yoga, strength training, dance....Clips are on Instagram & longer video sequences will be available on Vimeo very soon... Interested? 3. Elevated production of my wellness products... Creating salves, soaks, and roller oils that in my opinion alleviate the need for traditional medication to treat chronic aches/pains/inflammation. My brand is Black Market Wellness. Products are available at the studio. 4. Oh beautiful motherhood... My boys are growing up... My oldest is preparing for a national ballet competition in late February and my youngest is doing everything he can to be a certified ninja by year end. What's going on at BALANCE? When will the studio re-open? To make a reservation, email me with your class requests for the 5 week series or on an as needed basis. Payments can be made at your 1st class back to the studio. The Class Schedule will offer more classes after the sunny days of summer have come & gone...If you are interested in our 30 or 60 minute Individual Sessions to better accomodate your schedule, contact nikoleatbalance@gmail.com. The Studio will be closed from 7/24-8/5. Gratitude... As I reach the end of my twelfth year in business I'm full of wonder, and yes, gratitude. Not a day goes by that I don't marvel at what a kind community of mindful people we are given the opportunity to share and learn from each day at BALANCE. Thank you for another sweet year. I look forward to many more in our new home. DoTerra essential oils are the gold standard. We proudly offer them at the studio. OnGuard (Protective blend) Immunity booster. Includes clove, cinnamon, eucalyptus, and rosemary. I recommend approaching your practice as you would Life. Be kind to yourself above all. 1. LISTEN to your body. Zoning into your body's subtle cues is the first step towards real physical change. Each day is different as is your physical body. Treat it well and be patient. 2. Build an INNER dialogue of positivity. Practice feeling grateful for what your body can do as opposed to being disappointed in what it cannot. Try taking an entire class WITHOUT negative self talk. 3. MINDFUL movement over choreography. Think about how you approach movement rather than the final outcome. 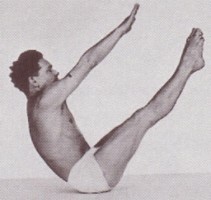 Spinal articulation leads to a supportive, healthy Bridge. Exhaling deepens the connection to our deepest core muscles. Make movement more than just the pose. 4. Choose to BE PRESENT. Errands, work, and every other little thing will be there waiting for you in an hour. With a mindful practice you are better equipped to handle what life brings. It is our sincere hope to provide opportunities to better your BALANCE (and peace of mind) every time you walk through our doors. We care about how you feel. Find balance at BALANCE. How can we deliver news of change but to blurt...Balance is MOVING! It is with great pride and pleasure that we announce our move to another downtown SLO location at 2074 Parker Street, Suite 112 where we will be sharing space with the SLO Movement Arts Center. SLOMAC is a 6,000 square foot ballet and contemporary dance studio recently opened by Ryan and Maartje Lawrence. They are building a space supporting a diverse array of movement arts and I feel there is no better home for Balance. Our businesses will operate independently but we look forward to being surrounded by dance, yoga, and people who love to move. We will continue to offer our classic 60 minute Group Reformer and Private Instruction sessions as well as continue with the development of our PX45 (Pilates Express) classes including Classic, Cardio, Flow, and our latest addition MOVE! We are growing our evening and mid-day classes this month. We anticipate a smooth transition from June into July closing only from 7/1-7/4. Classes will begin in our new location on Tuesday, July 5th. We will begin taking reservations on 6/13. Sculpt, sweat, cardio, repeat. Work it out on and off the Reformer. Welcome Spring. Love your body. Come to Pilates. Schedule Changes... WEDNESDAYS at 9:00 and 10:15am will now both be Community-style classes with the 9:00a class encouraged for those looking for more strength training in their workout. We are looking for pregnant ladies to join us for our latest PX series: PX Prenatal. If you are interested or know of anyone interested please contact Nikole at nikoleatbalance@gmail.com The instructor, Nikole Dowler, has 15 years experience teaching Pilates and has extensive coursework and personal experience on the pre- and post-natal body. She also re-trained her core muscles after two C-sections. 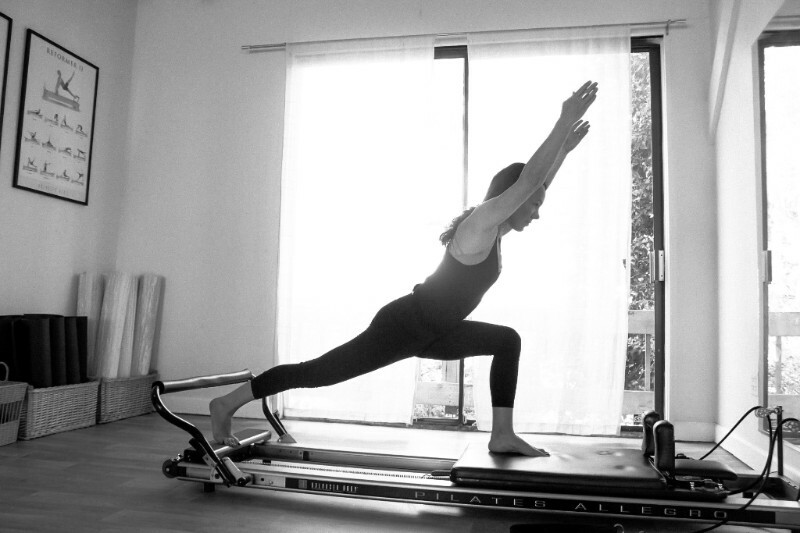 Stay strong and work towards an easier delivery with Pilates! 1. Be consistent... Come to class regularly. We encourage 2x a week to see real changes in the body. 2. Breathe... to facilitate a mindful practice, to recruit deep core activation, and to keep yourself in the moment. 3. Listen... accept where your body is each day. We have low and high energy days. Be aware of those changes and practice with an understanding of where you're at. 4. Be on time... Give your body a chance to settle into a workout. Arrive 5 minutes before class. Stretch, breathe, chill out. 5. Be kind... avoid negative self talk during your practice. Obvious, true, and not always easy. Notice how you respond to kindness. Your body is no different. Thank you for your continued support of all our classes at Balance. Our PX classes are gaining momentum and we look forward to new developments as we continue to be grateful and loving 2016!!! Busy schedule? Lunch break? Try PX45! Cancellation: We require 12 hour notice to avoid being charged for missed classes. Packages: All packages have a 35 day expiration. No exceptions. Spring Closure. The studio will be closed Thursday, March 24th through Friday, April 1st. We will re-open on Monday, April 4th. Follow us on Instagram for updates and community engagement!! Our studio can also be found on Facebook.